BoBattery failure - How good is the warranty going to be? The Bolts new battery has arrived at the dealer. They have sent me lots of images. Very interesting for me. It is a brand new battery with the new style of cooling connections. GM customer care has been contacting us periodically to ensure we are informed and comfortable with what is going on. In conversation with my wife they offered to cover the gas and insurance cost of the rental vehicle the dealer provided. I don't know what more one could expect from a car company and dealer than what is happening with us. Given that the failure occurred and that GM does not make the battery pack they have been very good. Our car may be ready to be picked up tomorrow. It is good driving the Chevrolet we have been given but we do like the Bolt better. I will post some of the images if I can but the files are too big for this site. I will have resize them to post. I've just had almost the exact same thing happen to my Bolt as Will. I've had my Bolt since May of 2017 and it has almost 28,000 miles on it now. It's capacity had fallen from 60kWh to around 58kWh, based on the energy used indicator and the SOC, which seemed pretty much as expected. I then went to the dealer yesterday and had the software updated to address the recall, and I realized today my battery's capacity had fallen to 43kWh. I've attached a picture of the dash to illustrate this. Of course I found this out on my long commute from the Toronto area to Buffalo and was thinking I won't even be able to drive to work and back once it gets a little colder. Hopefully GM will give me the same good treatment, I plan to call the dealer on Monday and go from there! PhilK wrote: I then went to the dealer yesterday and had the software updated to address the recall, and I realized today my battery's capacity had fallen to 43kWh. The update resets some parameters that are used to track battery charge and usage, and this can have a noticeable effect on the reported figures - especially if the battery wasn't full when the update was done. It should go back to normal after a few charge cycles, so you may want to hold off a bit before crying wolf to the dealer. I brought my 2017 Chevy Bolt into the dealer in December 2018 for recall 18097. I am not as conversant as other members of this forum with the precise terminology, but in essence, when I got the car back the range after full charging was only 160 miles rather than around the 238 rating for the Bolt. A technician at the dealer told me that the range had not actually been reduced but that the battery has to "relearn" my driving and that after 10 driving cycles, it should be restored. I don't drive that far and after one year only have about 3400 miles on the Bolt so I fear it might take forever for me to get a true reading of my range. After a month of driving around, the range after full charge is even lower, around 156. So I think that the statement that my car has to "relearn" my driving is complete B.S. I have complained to GM and was told, in essence, to pound sand. For technical reasons, the Lemon Law in NY is not available to me so my only alternative is to sue GM. clustgarten wrote: I brought my 2017 Chevy Bolt into the dealer in December 2018 for recall 18097. The "estimated range" is just that - an estimate, taking into account your driving habits and other factors. It is NOT a 'pure' measure of the capacity of your battery. Yes, the software DOES have to "relearn" after the update for the "estimate" to be more accurate. Now, that doesn't mean everything is great, OR that anything is wrong. 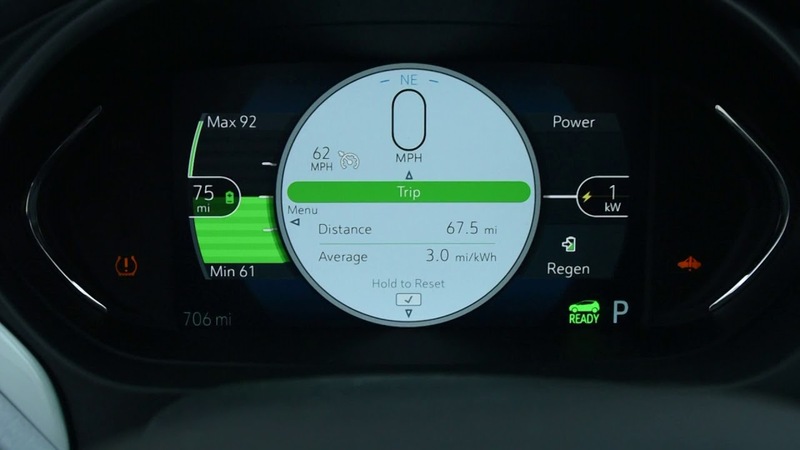 If you have the charging pref of vehicle set to use "hilltop reserve", your range estimate will be lower (because you are only charging the battery to about 90% and not "completely full"). Range is also influenced by temperature - if you drive 160 miles in the exact same way and using the same route, you will get more range at 75 degrees than at 35 degrees - so winter does figure into a lower range estimate. 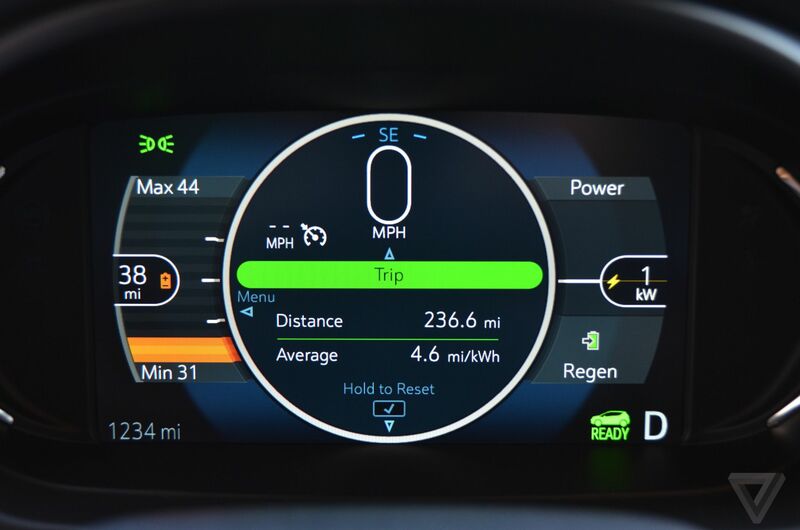 If this magic number of "range estimate" is important to you, I would take the car out for a drive on a beautiful day, and : (1) leave with a 'full' battery (even "full hilltop reserve"), and (2) use a route so that you drive you through beautiful countrysides at about 45-55 mph, and (3) do a drive that is about 80% of the estimated range when you leave (for safety sake). Then, when you get back let the vehicle completely recharge overnight. That should go a long way to re-calibrate your range estimate. So you don't think I have a beef with GM. I should just do the long drive you suggested and see what happens? I don't think that you have enough information (data) to know if you have a beef with GM or not. The range estimate is just an estimate. Does your gas mobile tell you how many miles you can drive on 5/8ths of a tank of gas? When they did 'whatever', they either unplugged power from everything, OR as part of the update they 'crushed' the old info, and it looks like the computers 'forgot' about range - so the car has to relearn. If you go on a long drive, and the estimate doesn't change - then I'd be a *little* worried. I would, in fact, plan several trips to take into account "what if" : "what if" the battery goes too low and I am too far from home?, for example. So I would fill up the battery. If it shows (say) 150-mile range, I would plan a trip that got me near home after about (say) 120 miles. After I got back from that drive I'd look at how much battery is remaining, and go for a drive that was 3 miles for each bar (minus one) remaining (i.e., if 4 bars remain, 3x5=15 miles. If 8 bars remain, 7x3=21 miles.) That way you are close to home if/when you get really low on electricity. Personally, I wouldn't want to get much below 10% battery remaining if I were much more than 5 miles from home. That should get you close enough to "not much battery left" for the car to realize how far you can go on 'a tank'. You do know that there are "5% capacity" bars on the side of the display, that show capacity of the battery (in 5% increments) - right? The above image shows that the "guess" of range is at 75, with a min (estimate) of 61 and a max (estimate) of 92. The green portion to the left shows that the battery is half full (ten bars, 10x5% = 50%) . The below image shows that you are getting low on range (bars are now orange) and that about 15% of the battery charge remains (3 bars). Thanks so much for the explanation but I am still puzzled. There are two scenarios, it seems to me. One is that the battery was damaged as a result of the recall and it really has only the range shown. The other is that there has to be a "relearning" process. According to the technician at the dealer I spoke to, I would have to go through 10 drive cycles for the battery to complete its relearning process. Although I am a technologically oriented person, the concept that the car has to "relearn" makes no sense to me. I only had it a year when I brought it for a recall and it had only 3000 miles on it. What did it "learn" during that time? The technician told me that a drive cycle would be one where 60 Kwh (out of 74) are used. Assuming 2 miles per Kwh, that means 120 miles. So I would have to drive 120 miles on 10 occasions. That will never happen. You are suggesting that I take one long trip of 120 miles (if the range is 150 miles). After doing that, what will show me which scenario applies? By the way, I did not know about the green bars representing 5% of capacity. There is a lot about the Bolt I have had to learn and am still learning. When I drove it home from the dealership for the first time a year ago, I knew very little (but probably more than the salesman who sold it to me). My attitude was and still is that GM is at fault, irrespective of which scenario applies. The car should have been returned to me in the same condition (or better) than when I dropped it off, which was that it had a maximum range of 238 miles and that the instrumentation would tell me what the range is. I don't think it is correct to compare the situation to a gas powered car since one can gas up anywhere anytime and it only takes 15 minutes. With an EV, you need to have an accurate view of your range since there are so few charging stations. clustgarten wrote: There are two scenarios, it seems to me. One is that the battery was damaged as a result of the recall and it really has only the range shown. My attitude was and still is that GM is at fault, irrespective of which scenario applies. In a perfect world, perhaps. In this world, you're just going to have to accept that the battery management software update screws up the range estimate for the next few charge cycles. I learned from these forums that the symptoms are worse if you have the work done with a battery that's only partially charged, so I made sure to charge the battery to 100% before dropping the car off. When I got the car back my range estimate was only off by a minor amount. If I recall correctly, the issue seems to be something along the lines that the software update resets the "distance traveled" since the last full charge to zero, but not the "energy used". So the algorithm believes that it's taken a bunch of energy to travel almost no distance, which then fouls up the range estimate. You can rail about it as much as you want, but if this is the issue that's affecting you then the only solution is to just drive the car and recharge it as you go. In the meantime, watch the battery level rather than the range estimate. clustgarten wrote: The other is that there has to be a "relearning" process. Having to relearn doesn't sound out of the ordinary to me. Batteries don't have any sort of output that says "this is my % state of charge". They have +, - and maybe temperature. You can definitely get the voltage, but that's doesn't by itself cleanly map to a % SoC. Often, you hear about it being a good idea to drain a battery completely and recharge to full to re-calibrate a display/indicator (e.g. % SoC indicator/value). Example: https://forums.lenovo.com/t5/ThinkVanta ... a-p/679889. A quick Google search turned up https://training.ti.com/sites/default/f ... Basics.ppt (OCV = Open Circuit Voltage) and https://batteryuniversity.com/learn/art ... alibration. When Leafs have shady people resetting the vehicle without replacing the pack (reset is only supposed to be done when the pack is replaced), it can take weeks or months for the Leaf's capacity indicator to return to its actual capacity. Takes time for the car to re-learn the pack. http://daveinolywa.blogspot.com/2014/12 ... olved.html - that 9 capacity bar (out of 12) car showed up with 12 due to the reset but eventually within ~4 months became an 8 bar car. Battery was replaced via the 5 year/60K capacity warranty (have to be at 8 bars or less before expiration). Sorry, I'm not an EE, chemist nor battery engineer, so I'll have to defer to people w/more knowledge.